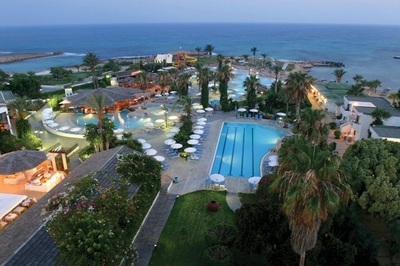 Ayia Napa has a few hotels which have either access to their own waterpark on site or have a splashpool play area with slides or water features for children. 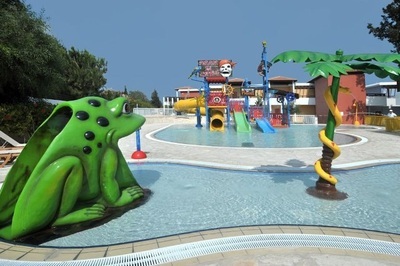 The hotels with splashpool areas don't usually have slides suitable for adults so these pool areas would be just suitable for children. 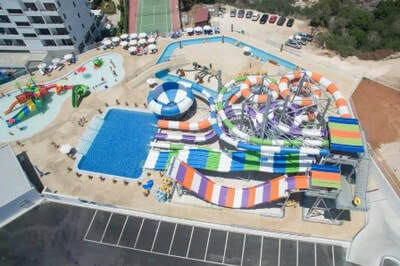 Hotels which have their own waterpark will have a range of slides and play areas suitable for both adults and children. 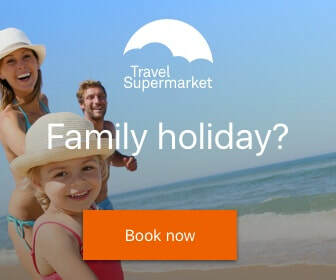 All of the hotels with waterslides and splashpools in Ayia Napa are family friendly and are located a little away from the centre of town, yet still within easy reach of shops, restaurants and bars. 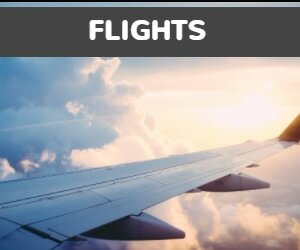 Please click through to each hotels information page below for maps, pictures, facilities and how to book. 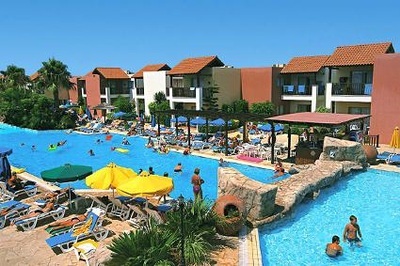 3 Electra Village - Waterpark adjacent to the hotel with free access. 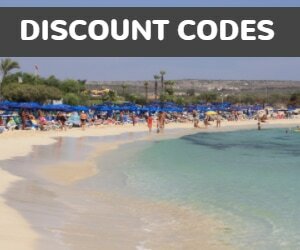 2 Panas Village - Waterpark adjacent to the hotel, access either free or paid depending on booking terms. 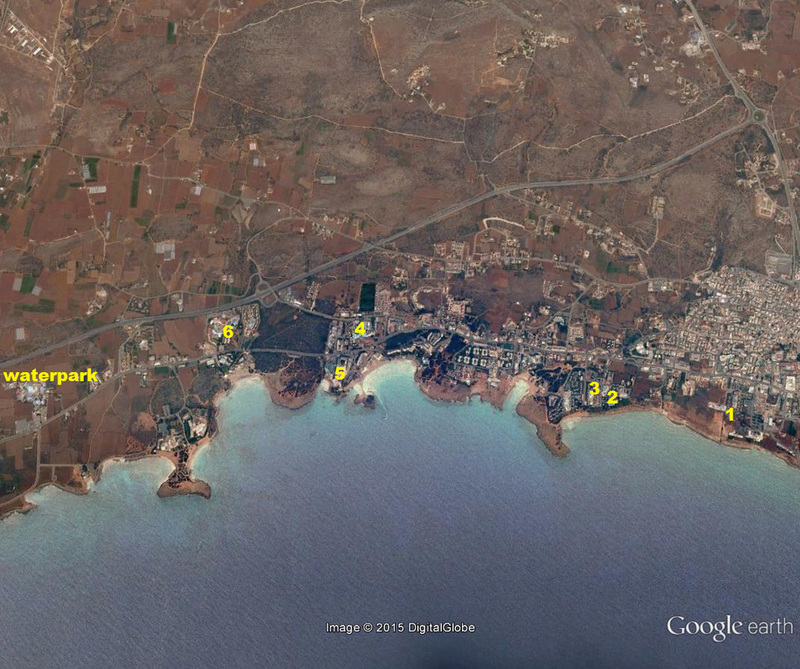 1 Panthea Village - Waterpark adjacent to the hotel with free access. 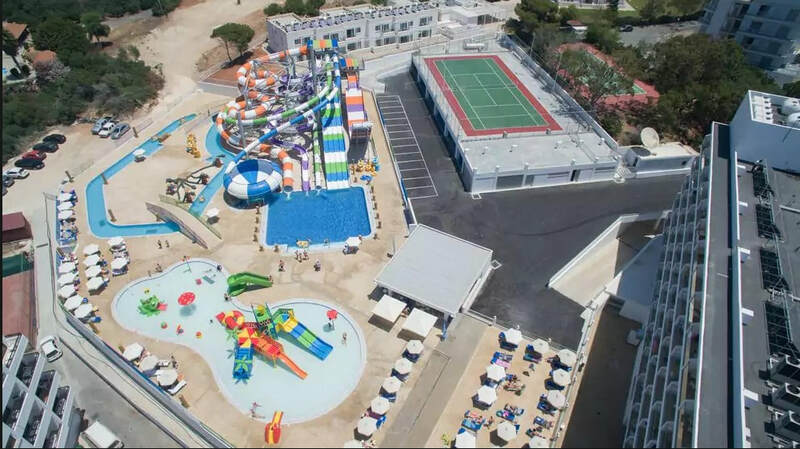 5 Adams Beach Hotel - Kids splash pool area with waterslides. 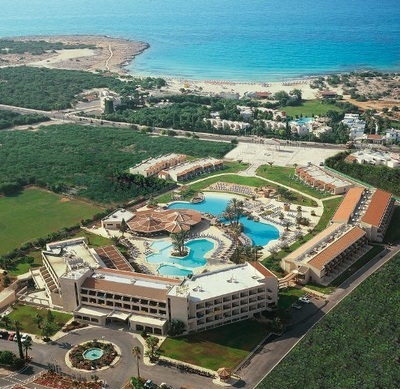 4 Atlantica Aeneas Resort - Kids splash pool area with waterslides. 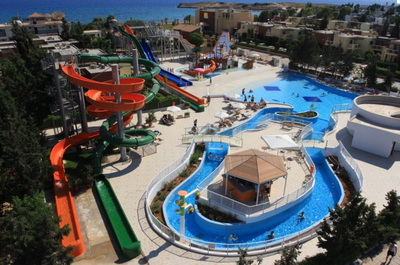 6 Olympic Lagoon Resort - Kids splash pool area with waterslides.